Easily fits over standard door. Includes door bracket, pulleys, cord and handles. For use when sitting or standing. 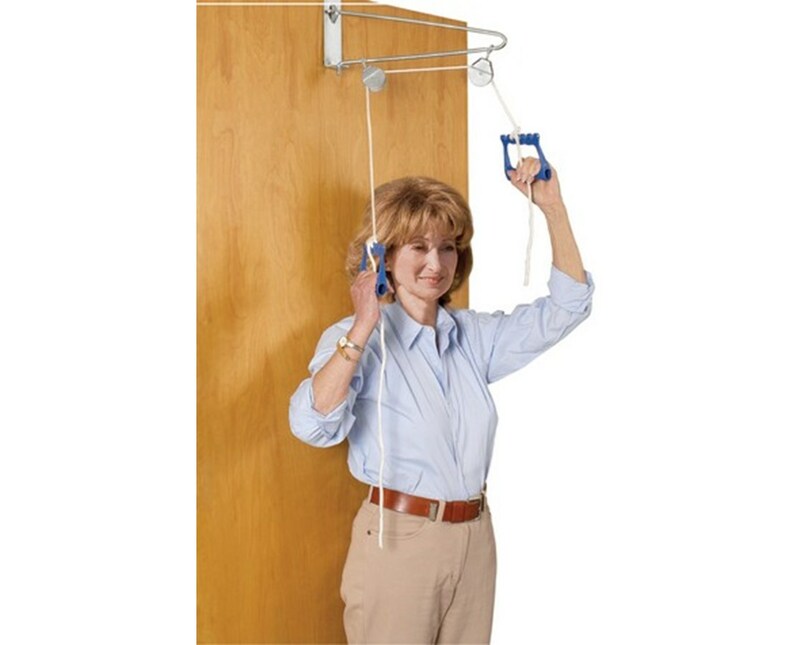 The over door exercise pulley by Drive Medical was designed to safely and easily increase range of motion whenever you please, be it while sitting or standing. 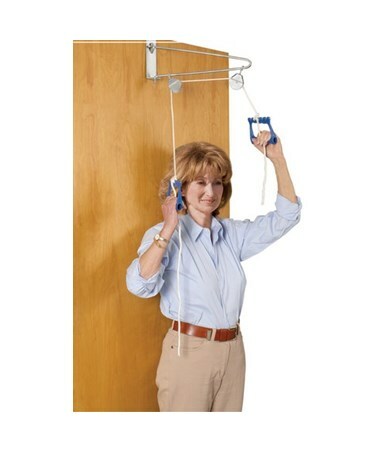 It easily fits over a standard door and arrives complete with a door bracket, pulleys, cord and handles. The product is protected by a limited lifetime warranty. Designed to safely and easily increase range of motion. Comes complete with door bracket, pulleys, cord and handles. Tiger Medical offers a 30 day return policy from date of shipment for this product, subject to a 20% restocking fee, in addition to the return shipping charges. The product must be in new condition and in its original packaging. We take the responsibility to make sure this product arrives in brand new working condition. Should your item arrive damaged, we will take full responsibility and replace the product at no cost to you. Door bracket, pulleys, cord and handles.